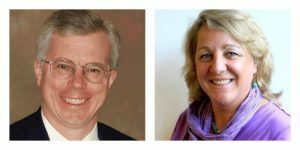 Adam Dunsby and Bonnie Troy are running for the state house of representatives. Our Candidate for State Representative, Adam Dunsby offered serious, positive solutions for the economic challenges facing Connecticut. His opponent Green Party candidate confessed she didn’t know much about how the state’s finances work, and stated multiple times that the best way to grow Connecticut’s economy was to grow marijuana and make it legal in our state.